Chevrolet, a renowned brand of General Motors known for being among the most symbolic and ideal auto manufacturers, deals in automobiles of a wide variety ranging between subcompact cars manufacturing to medium duty American trucks. Louis Chevrolet a car race driver paired with General Motors founder William C. Durant formed the Chevrolet brand in 1911. 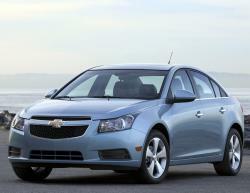 Also known as "Chevy" the brand currently deals in SUVs, hatchbacks, sedans, crossovers and trucks. 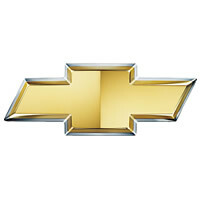 Chevrolet is also identified by its famous "Bowtie Emblem" logo which was used for the brand in 1913. William C. Durant besides being the co-founder of Chevrolet also founded the General Motors which is Chevy's parent company. Louis Chevrolet, after whom the brand is named, was a car race driver and due to his interest in auto racing he developed his skills in auto mechanics while he was still a young man. Initially to satisfy his mechanical interests he started working in Quebec, Canada as a mechanic later on working for De Dion Bouton, a French car manufacturer, however his main profession remained to be of a race car driver. Chevrolet had little formal education related to car designing but in 1909 he did design his own engine, a job he was becoming an expert in. Partnering with Durant, Chevrolet formed the Chevrolet Motor Car Company in 1911 and through selecting the Swiss Cross as a logo for his company honored the homeland of his parents. Chevrolet worked for Buick and also raced for him through his racing career. He owned his personal mechanical shop in Detroit where he initially designed the overhead valve six-cylinder engine. This was the first step that motivated him to form the Chevrolet organization. Durant and Chevrolet had many arguments related to the design and the dispute was solved finally after Chevrolet handed his shares to Durant and Chevrolet became the property of General Motors. The derivation of the famous Chevrolet "Bowtie Emblem" is not clearly known as some say, that it was inspired by a French hotel's wallpaper that caught Durant's eye, however research recently conducted says that the Chevrolet brand bears the logo of the "Coalettes". 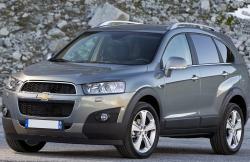 There is also a strong believe that the Swiss Cross logo was extracted by Chevrolet to honor his parents home land. Whatever the inspiration may be, the emblem is very dear to Chevrolet and serves as a very popular identification and advertising symbol of Chevrolet. 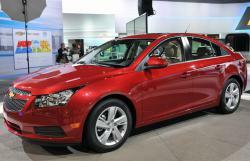 The high points among Chevrolet cars are the Camaro Sport Coupe, the Malibu midsize sedan and the replacement of Cobalt compact sedan known as the new Cruze. Some car models that require an upgrade as they currently do not match the remarkable quality of the new models include the HHR wagon, Aveo subcompact and Impala full-size sedan. Corvette still enjoys the position of world class sports car however it is also in line for an update. The point of focus recently is the Chevrolet Volt which is a battery - electric sedan available with a range - extending on board generator. 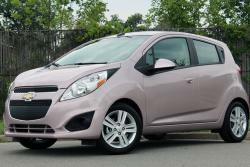 This to date is General motors most daring project after the EV-1 electric car. 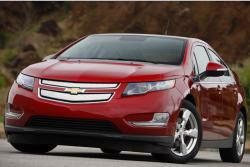 Volt could transform the meaning of transportation for motorists that are efficiency conscious. Chevrolet pickup trucks, SUVs and crossovers are still very strong competitors in the market and the recent Equinox compact crossover is among the strongest Chevy products to date. 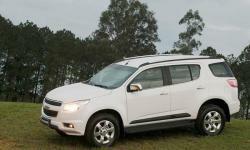 The bigger Traverse crossover that comes with three rows facilitating seven to eight seats is one of the best sellers of Chevrolet along with the SUV Truck based soldier the Tahoe, which is also available as hybrid and the still larger Suburban that can accommodate up to nine persons. Avalanche is another Chevrolet best in pickups and SUVs whereas the compact Colorado and Silverado full size truck along with the lineup of the Express cargo vans are available in many different sizes, box and cab styles and different weight ratings.